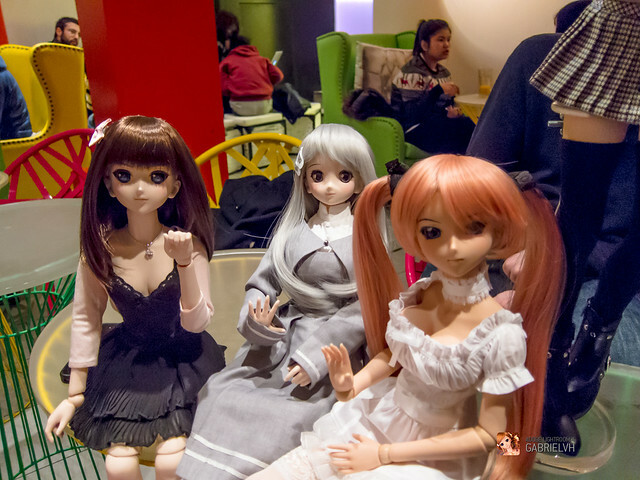 Last weekend a few of the Toronto-based Dollfie Dream owners met up for a small doll met, and we welcomed 3 new faces! AkaTG, Nurlindae and a friend of MrCool00236’s came to hang out with us. 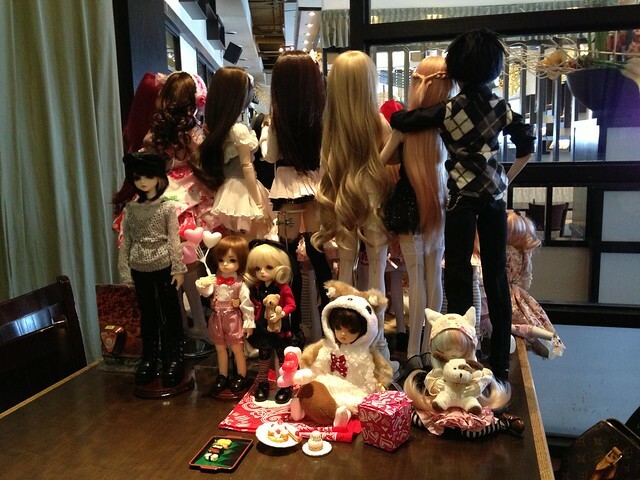 Since we were a small-ish group, we went to Café Princess and brought a few dolls with us! 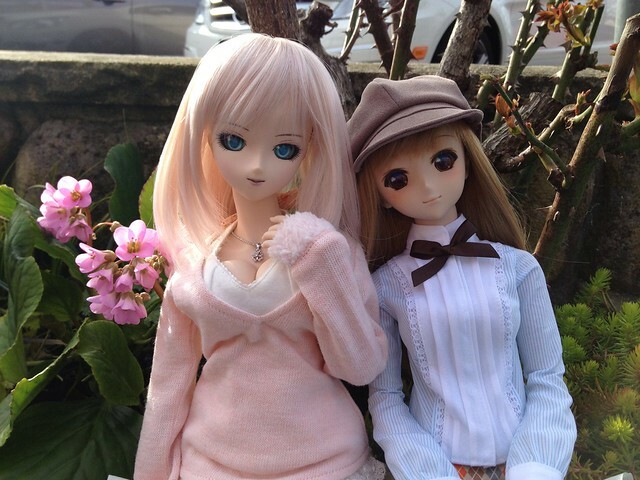 We had a loose theme of Springtime, Easter and St. Patrick’s Day so there were lots of cute outfits on the dolls! Earlier this month I made a quick visit to London and was able to meet up with some awesome DD owner friends from across the pond. I met up with GabrielVH, Jezatron and Pink_Blaise for a day of eating, chatting and goofing around and it was a wonderful way to spend the day! 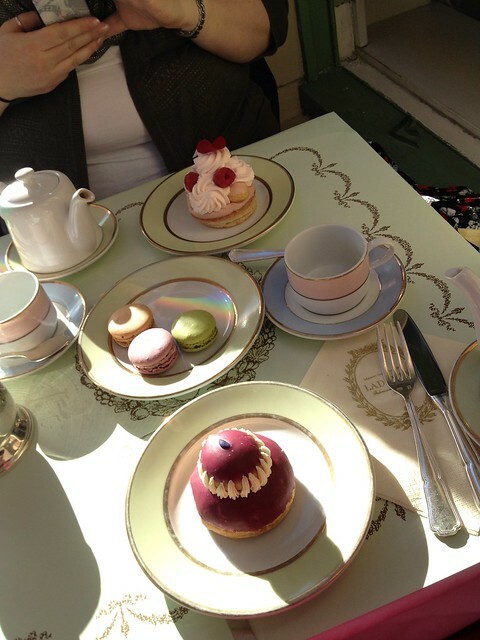 We had the St Honoré Rose Framboise Pastry, Cassis-Violet Religieuse pastry and a trio of macarons (salted caramel, violet marshmallow and green apple). Delicious! 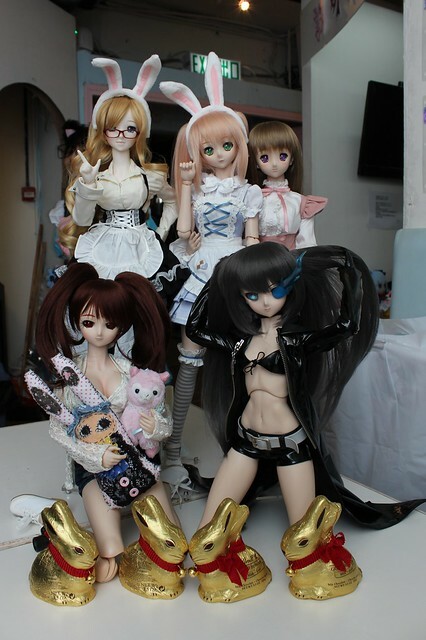 Back row: Juu-Yuki’s Kirito & Asuna, PlasticFantastic’s Juno, my Rin Tohsaka, Annalise & Serena, and Meo’s Tamaki. And hiding behind all the big dolls there was a little resin BJD picnic! So much cuteness!